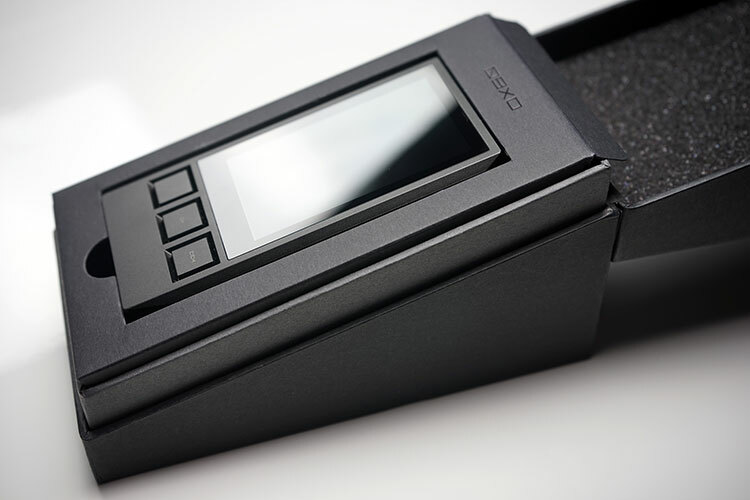 It was perhaps inevitable that iBasso would release a new DAP at the tail end of last year given the rash of next gen DAP’s released by the likes of FiiO and the X5ii and X7 as well as the sensibly priced Pioneer XDP-100R. Those looking from the outside in had already presumed this would be the next stage in the ‘phony FiiO war’ and started pushing out the predictable memes. X7 or DX80 anyone? It seems to be that way given the spec sheet and similar form and function on paper and of course timing. However, iBasso is having none of that and the launch of the DX80 came with a very tempting and sensible price tag of $359 which is almost half of the price of the FiiO X7. All of a sudden the price point brings an entirely different perspective from my point of view. This is a mid-fi DAP and not the flagship everyone has presumed. The mere name, DX80, is numerically lower than the DX90 so the clue might have been right there. The launch price is also cheaper than the DX90 launch price. If anything FiiO have vacated the mid-fi DAP price range leaving the distinctly hardware orientated X5ii to defend its honor in the shadow of its more glamorous X7 sibling. 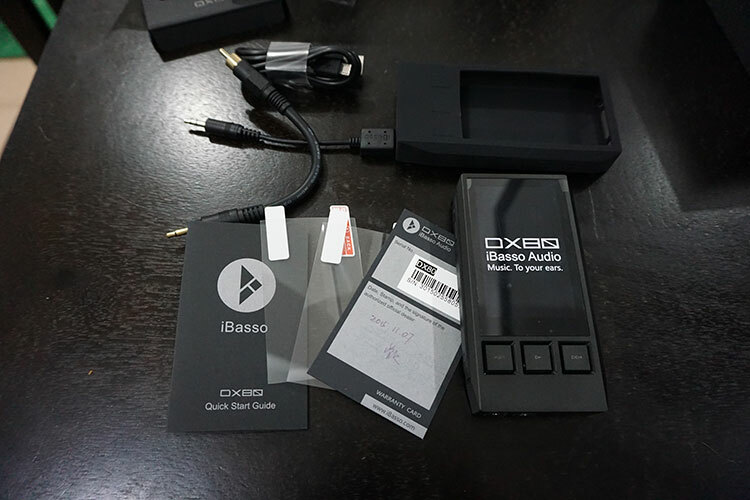 That is good news for iBasso and the touch enabled DX80. Of course there is always the firmware debate and iBasso has been one of the central figures in this given how the launch of the DX range was a UI baptism of fire. Lots of bugs, lots of frustrations but in turn lots of updates, lots of fixes and even some top notch home brew and Rockbox thrown into the ring. The DX90 for me was THE top mid-fi DAP once the OS and firmware had reached its considerable maturity. That learning had to stand them in good stead right? Well possibly not because the DX80 review is only coming out now due to the fact quite a number of firmware updates have already coming out correcting a lot of frustrations when I initially received it. If I had written the review right at the launch of the DX80 I think I would have vastly differing thoughts. As such, we are now at firmware v1.3.3 since Feb 7th 2016 and can speak about a much more settled OS than before and a much more rewarding experience than before. 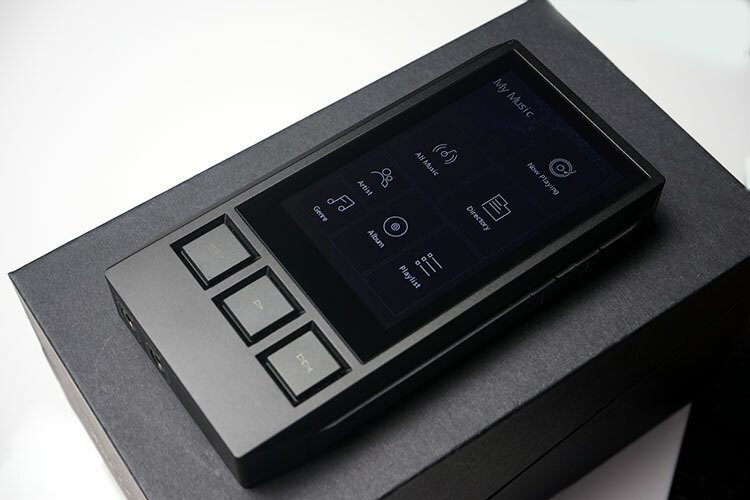 The DX80 is a hybrid of the touchscreen and hardware DAP experience first used in the DX50 and DX90 as well as a more dominant touchscreen UI experience more akin to the old DX100 presentation. It looks like a stretched DX90, its looks industrial, tough and hardened compared to the more svelte and dare I say it metrosexual X7. It continues that nerdy exotic feel I once mentioned when I reviewed previous iBasso products but this time it has a more aggressive look. It looks more manly and should really have a chest of hair right below the screen and a gold medallion. It comes in black and nothing else. Henry T Ford would be proud. 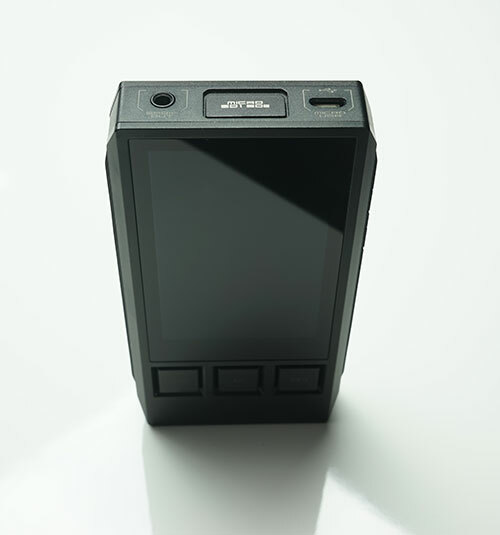 In many ways the DX80 is an evolution of the DX series design and many of the hardware functions are in the exact same place with a little cosmetic touch up or a slightly different bit of machining. You still have the same headphone out and line out 3.5mm gold ringed jacks to the bottom left of the DAP. The coaxial output, USB charge and OTG function is still on top in their familiar far left and far right slots. This time, however, the DX80 has a SPDIF slot and not just purely a coaxial output as you would find on the DX90. This means you can now use an optical output as well as a coaxial output from the DX80 – oh joy! There is some decal work now around each DX80 output with clearer labelling than the older DX90 and DX50 series which does help. What is missing though from the DX90 is the hardware gain function on the bottom right that was present on the older DX models. This is not worked into the OS itself as a software feature. 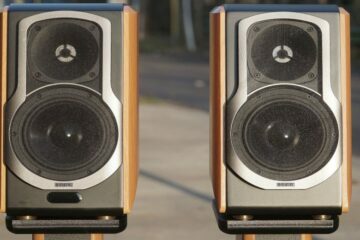 The right and left panels are reasonably simplistic with the power and screen on/off button on the top left and volume plus or minus on the top right. Nothing else physical on the panels exist, everything is neatly tucked away in the OS such as bass and gain. Perhaps the biggest physical upgrade over the older DX DAP’s I/O panel setup is the inclusion of a dual microSD slot in place of the single slot at the top of the DX80. It is also a covered dual slot with a rubber flap to protect from moisture and dust which is a welcome feature overall. The dual slots work much like the dual slots of the FiiO X5ii and AK series and can take up to 2TB in memory (though things get expensive beyond 200gb in microSD cards but we are heading in the right direction). This is the center piece of the DX80, the oh la la and it’s not hard to see why. The DX90 and DX50 were also equipped with touch sensitive or capacitive screens but they were tiny and though responsive a little bit cramped. 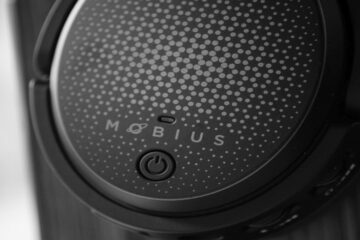 The addition of a 3.2″ capacitive touchscreen, though by no means the largest, certainly opens up the customized DX80 UI for a far more finger friendly experience. Visually it is so much more appealing than the older DX software on the bigger screen and allows iBasso to be a lot more ambitious than before with their UI design and flow. This is a 3.2″ IPS screen running at a 480 x 800 pixel screen resolution with a pretty wide viewing angle and decent pop in the screen colors. What I do appreciate also from iBasso is the retention of the three large physical buttons, this time just below the main screen. They are not as rounded as the DX90 buttons not do they have a nice concave feel to them as before for resting your finger on it. The function icons are printed also on the DX80 buttons as opposed to being etched right into the button. The DX80 buttons are a bit sharper, flatter and possibly a bit cheaper to produce but they do the job perfectly and I couldn’t do without them when on the go. Considering my main phone is a BB Passport which is both touch and physical keyboard my preference should come as no surprise there. The DX80 retains a dual DAC implementation, the same as the DX90 but this time iBasso have decided to use a dual Cirrus CS4398 design over the previous dual Sabre ES9018K2M DAC implementation of the DX90. That means the DX80 does indeed retain the DX DAC out function that the 50 and 90 had and can operate from a PC and MAC source and output via direct line out, headphone or SPDIF. This is Cirrus’s flagship 192kHz multi-bit DAC and is mainly used in home theater and 2.1 hi-fi units. 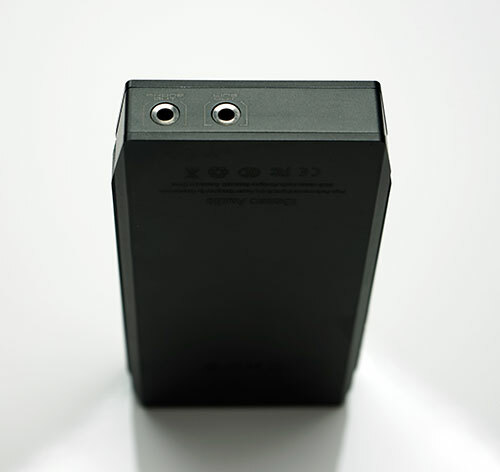 It is also a chip used in the portable zone by none other than Astell & Kern’s budget busting AK240, its penultimate flagship DAP costing around 6-7 times the price of the humbler DX80. It is a chip with pedigree no doubt with a 24-bit/192 kHz decoding, a very capable level of dynamic range and most importantly brings the range of codec playback in the DX series bang up to date with DSD native decoding output capability. Note DSD is not possible on the SPDIF so your ‘stuck’ with 24/192 through the digital out. Amping is actually pretty good for a DAP with a rated 260mW (presuming a 32ohm resistance scale for this one). If that is the correct scale it would place it closer to the FiiO Am2 X7 module than the AM1 IEM module and thus it would be more powerful than the FiiO X7 out of the box. That is a big presumption though, it could 8 or 16 ohms which would place it close to the AM1 in terms of power. Ibasso did not state the ratings scale for the DX80 to date however the 10v voltage swing is promising though given the AM1 is just over 5v and the AM2 is almost 9v. The DX80 uses a 3,8V 3600mAh LiPo battery but sadly, unlike the DX90 it is not user replaceable which is a shame. The good news though is the playback rated time is around 13 hours according to iBasso which is a huge improvement on the DX90 which sometimes struggled to hit half that mark on the stock battery. Constant native DSD128 decoding and fiddling with the LCD screen on the DX80 will probably drop that marker by a few hours but that is still a more than adequate response from the fixed battery inside the DX80.